This is a spacious, classic meeting room. The seating is in "classroom style" here (with tables in a square). 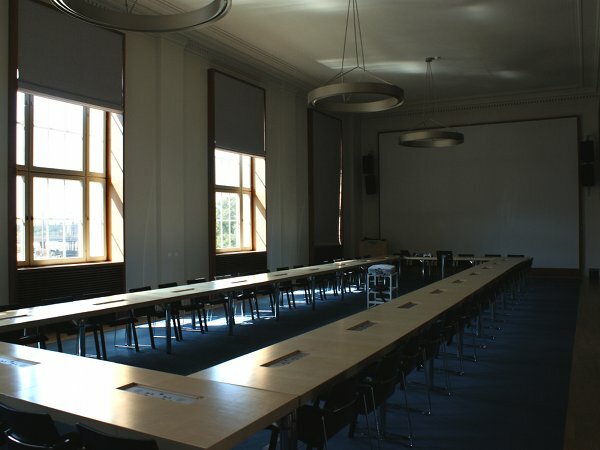 Not only presentations and talks take place here, but also discussions.